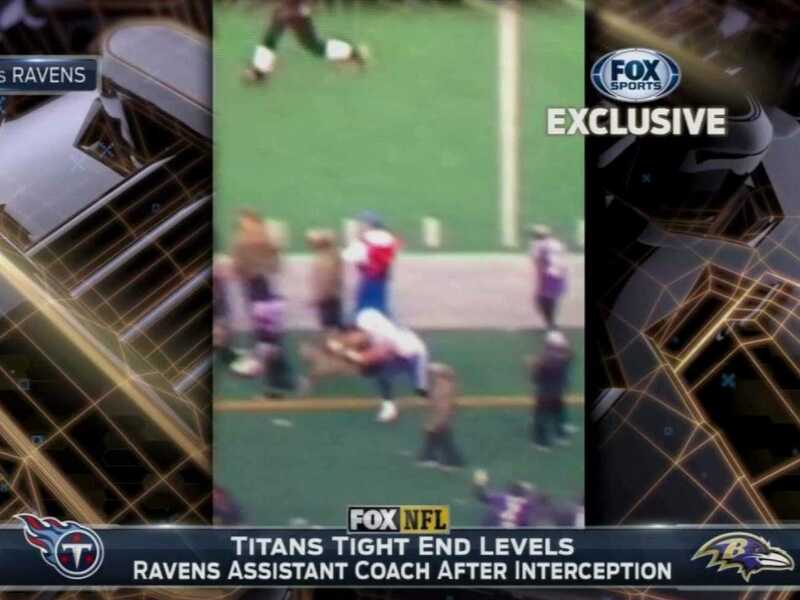 Tennessee Titans tight end Chase Coffman has been fined $US30,000 by the NFL according to Jay Glazer of Fox Sports for what appeared to be a cheap shot on a Baltimore Ravens assistant coach. The incident occurred a week ago on a pass that was intended for Coffman. The pass was intercepted and Coffman’s momentum took him towards the Ravens sideline. Coffman then appeared to clothes-line the assistant coach with a vicious hit and Coffman even appeared to drag his foot across the coach while he was on the ground. 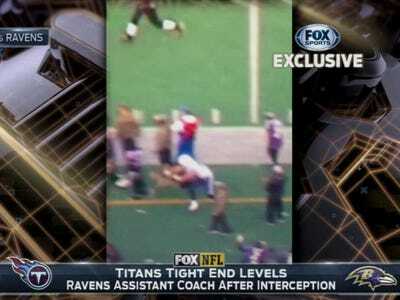 According to Glazer, the Ravens were “furious.” The Titans claimed that the hit was unintentional. Glazer seemed to feel the fine was light for what he called “maybe the cheap shot of the year.” With just the one grainy video, the NFL may have had trouble proving intent.